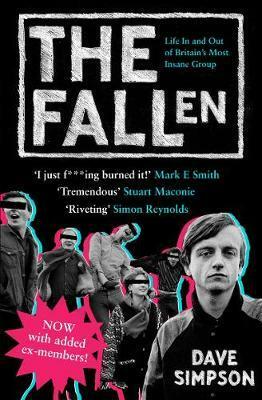 The FallÂ is one of the world's most iconic groups, led for the lastÂ 30 years by the inimitable and enigmatic Mark E. Smith. They have released nearlyÂ 30 studio albums, with in excess of 50Â musicians passing through their ranks. They are the Fallen; this is their story. Dave Simpson has spent two years of his life tracking down everyone who has ever played in the Fall. The resultant book is full of hilarious and shocking anecdotes about life in one of the most intense and insane bands. It is also a biography in reflection of Mark E. Smith, a man who runs his group like a sports team, for whom no one member is greater than the Fall. Featuring a host of new interviews, this is a fascinating insight for all of the Fall's devoted fanbase, which famously included John Peel, and anyone who has ever been curious about the group, and interested in the postpunk cultural landscape of Britain.